CONCORD, N.C. — It is red. It is a beverage. It is red, red wine. Stain removal is more than putting a chemical tool on the stain and then blowing the stain away with steam. Thought must be given to the fiber content and the stability of the dye or ornamental trim that could be damaged by the chemical or mechanical action. Taking one step at a time, in order, can change the outcome of your stain removal efforts. A good example is red wine. It is a red beverage. In most cases, the beverage is something diluted in, or at least containing, water. The stain most likely went on wet, so it should break down to water. The remainder of the stain is from a plant. Stains that come from a plant are referred to as tannin stains. Now, we know we have a tannin stain that should begin to break down when exposed to water. We use water at the board, in the form of steam. Let’s put the stain over the nose of the board and flush the area with steam to see how much of the stain comes out by this simple step, with a minimum of risk to the garment. The characteristics of the fabric will affect some of the tools and procedures used, or not used, in the attempt to remove the remaining red wine stain. A white garment of 65% cotton and 35% polyester can be subjected to stronger chemical tools and more aggressive mechanical action than a turquoise garment of 100% silk. Therefore, it is important to have at least a basic understanding of the things you should not do or should not use on various fabrics. For example, silk fabric weakens when wet with water. Therefore, mechanical action should not be used on wet silk. If you must agitate wet silk, do so very gently. A medium- to dark-colored piece of silk can even chafe when repeatedly rubbed by another garment. Some dyes are sensitive to the pH found in chemical tools used in stain removal. 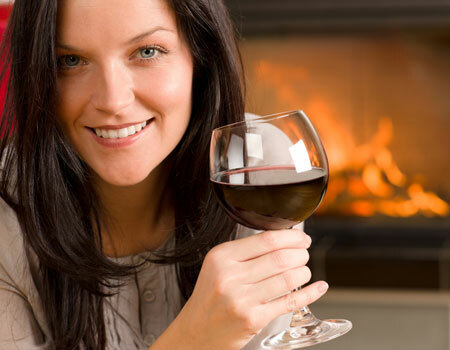 Almost all tannin stain removers that are used in the removal of red wine are acetic in nature. This will react with some dyes and affect the dye in the area of the stain. Let’s put the stain over the solid part of the board and apply some neutral synthetic detergent (NSD) and extremely light mechanical action, if the fabric can tolerate any mechanical action. Now place the stain over the vacuum nose of the board and flush the stained area. By using a chemical tool with a neutral pH of 7 and using minimal mechanical action, you have eliminated the risk of color change, while removing more of the stain. Risk reduction is always a good thing.